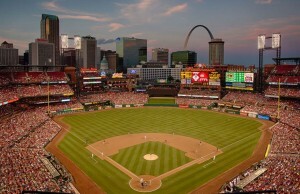 Nothing beats a great road trip across the country to see America’s pastime. We have developed multiple ballpark road trips that you and your family or friends can embark on during the 2017 Major League Baseball season. Most trips are based around weekends or holidays, although some extend into the work week. 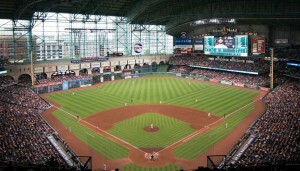 Read about Ken Schlapp’s tour of every MLB ballpark for more tips and information on taking a baseball road trip! 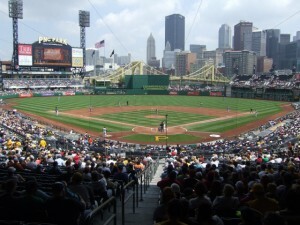 Check out six ballparks on this Interstate 95 trip on the East Coast during the last week of May. 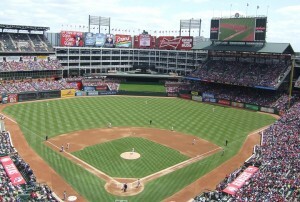 You’ll begin your journey in Beantown as the Boston Red Sox hosts the Texas Rangers as baseball’s oldest ballpark, Fenway Park. 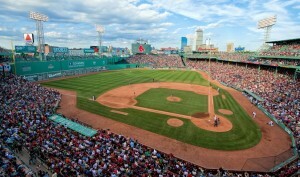 Take the following day to explore the city of Boston before heading south towards New York City. 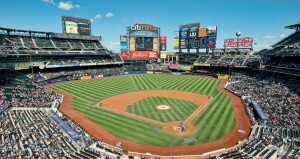 On May 25th the Mets hosts the Padres at Citi Field. 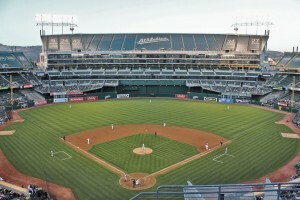 The next day Yankee Stadium awaits as the Yankees host the Oakland Athletics. You’ll continue your trip on May 27th as you once again head south to the City of Brotherly Love, Philadelphia. 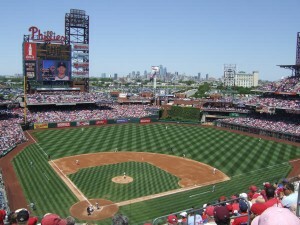 Here the Phillies host the Cincinnati Reds at Citizens Bank Park. Up next is Washington DC as the Nationals play the Padres at Nationals Park. Explore all the sites around DC before of after the game. You will conclude your trip on Memorial Day with a short trip North on I-95 to Camden Yards as the Orioles host the Yankees on May 29th. With only 40 miles separating Baltimore and Washington, DC you can see some of baseball’s youngest stars during Memorial Day weekend in 2017. 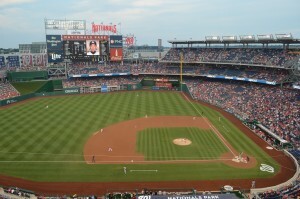 Start your journey on May 27th in Washington DC as the Nationals battle the Padres at Nationals Park. Spend an off day seeing all the sites in Washington DC or drive north to Baltimore and explore the Inner Harbor. 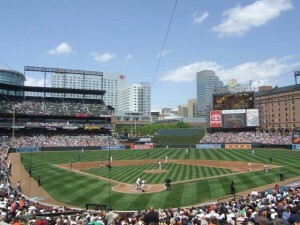 On Memorial Day you will watch the Orioles battle the Yankees at at one of baseball’s classic ballparks, Camden Yards. 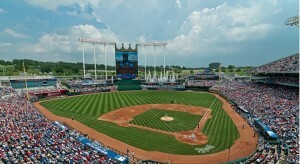 This is a true baseball road trip as you travel to five ballparks during the week of July 4th! You can also cut this trip up if you prefer to only go to half of them. 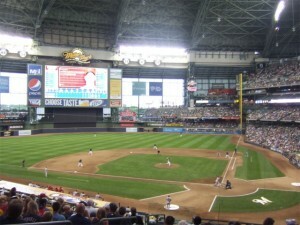 Start your trip in Milwaukee where you visit Miller Park, home of the Milwaukee Brewers. 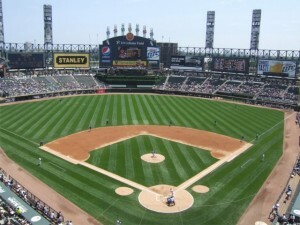 The following day, a 90 minute drive south to Chicago takes you to Guaranteed Rate Field where the White Sox host Texas Rangers. A day off in Chicago allows you to fully explore the Windy City. 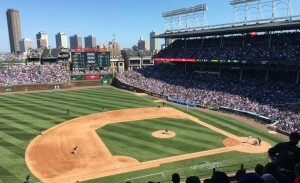 On July 4th you will see the 2016 World Series Champion Chicago Cubs host the Tampa Bay Rays at Wrigley Field. 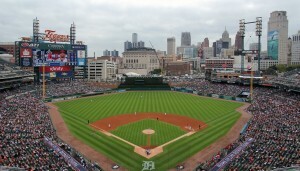 Up next is Comerica Park in Detroit where the San Francisco Giants visit the Detroit Tigers. 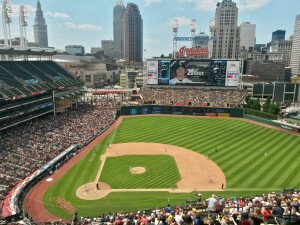 You end your trip on July 6th as the 2016 American League Champion Cleveland Indians host the San Diego Padres at Progressive Field. 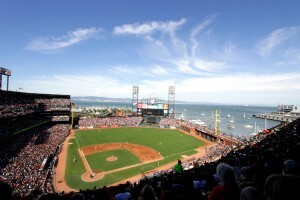 Spend an exciting 4th of July weekend in New York City where you will visit two ballparks and likely see some fireworks! 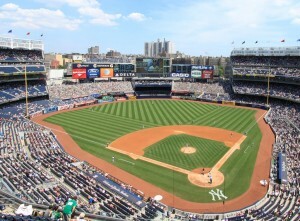 The Yankees host the Toronto Blue Jays at Yankee Stadium and the Mets host the Philadelphia Phillies at Citi Field. There are a multitude of attractions to visit in the Big Apple including Central Park, the Empire State Building, Times Square and the Statue of Liberty! 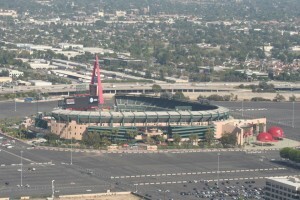 Take an extended weekend trip up the Pacific Coast Highway as you begin your trip in sunny Anaheim on Friday, July 21st as the Angels host the Boston Red Sox. A day off allows you to explore Los Angeles or Beverly Hills. 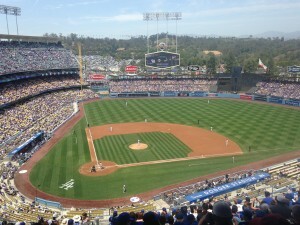 On Sunday watch the Dodgers battle the Atlanta Braves at Dodger Stadium. After the game take a scenic drive down the Pacific Coast Highway to San Diego. 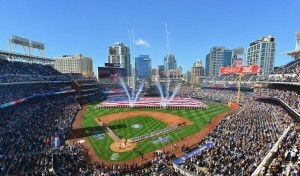 The following day you will see Petco Park as the Padres host the New York Mets. You’ll have plenty of time to explore all the sites before or after each game! South Beach here I come! 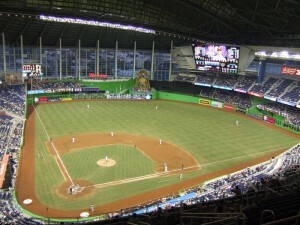 With beaches on both coasts of Florida, you can see games in Tampa and Miami, and hit up the beaches during the day! This weekend trip allows you to begin your journey in either Miami or Tampa. 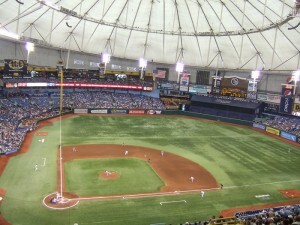 Watch Marlins battle either the Atlanta Braves and the Rays take on the Boston Red Sox at Tropicana Field. Visit the beach in Clearwater, FL while in Tampa or South Beach in Miami where you can enjoy some amazing food and enjoy relaxing at one of the most beautiful beaches in the country.